The history of Rexx Battery Company began in 1959 with one man, 22 years of age, searching for a way to provide for his young family. Rex Curtsinger learned of rebuilt batteries when he went in search of a battery for his own car. With little money to spend, the rebuilt battery was the solution to a dependable battery on his very limited budget. Rex learned that the separators between lead plates in batteries were very often the cause of failure. The tar top on batteries could be melted to gain access to the inside of batteries, and the separators could be replaced when the lead plates were still healthy. The batteries were then re-tarred and ready for further service. Rex took this knowledge and started his own small battery rebuilding business and a short time later partnered with his cousin Dale Schwitsch and opened D&R Batteries in Decatur, IL. As the business grew they also incorporated a line of new batteries. 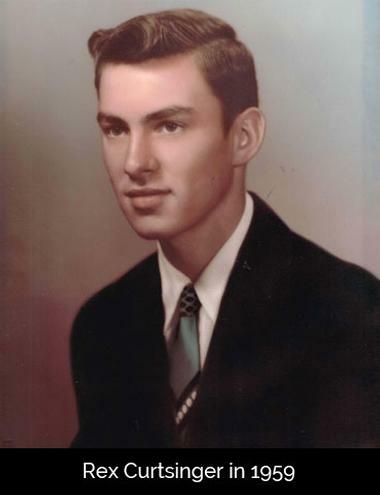 Six years later, Rex and his wife Carol sold their half of D& R Battery to Dale and moved their daughters Tracee and Laurie to Rochester, Illinois where they purchased half of a battery rebuilding business named Ed’s Battery Shop, which was owned by Rex’s sister and husband Fran and Ed Alsop. By 1970, Rex decided to go out on his own to build a wholesale battery business managed from his large garage at their family home in Rochester. 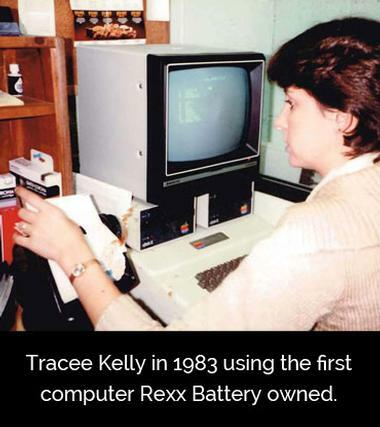 The couple named this business Rexx Battery Co. The wholesale business began to expand so much that Carol joined her husband full-time in the business in 1975 and they moved the business to a small building on Main Street in Rochester. By 1978, their oldest daughter Tracee began helping her mother with the bookkeeping duties. At this time the Curtsinger’s started opening retail stores in towns around Central Illinois including Decatur, Jacksonville, Taylorville, and Peoria. The thriving business then moved to Springfield in 1984. After moving from bigger and bigger rental properties, they landed at a large warehouse on South Grand Avenue East, were they would remain for nearly 28 years. The family tradition continued as Tracee married Mark Kelly after he graduated from SLU with a degree in marketing. Mark was hired to run the Rexx Battery wholesale routes and learn the family business. Together Tracee and Mark started another retail store in Lincoln in 1983. Carol and Rex decided to sell their retail stores beginning in 1985 to focus more on the wholesale side of their business as they wanted the retail stores to be more competitive with large national chain stores. Rex’s youngest daughter Laurie purchased the Decatur store after graduating from ISU with a business degree. Her husband Jay Fitzsimmons would come to join her and keep the family tradition going by also acting as an owner/operator of their Decatur store. In 1991, Carol Curtsinger unexpectedly died because of complications from heart surgery, just 9 months after the sale of the final retail stores. Her daughters Tracee and Laurie kept their mother’s strong work ethic in the forefront as the sisters started Battery Contact in 1995 to purchase and distribute household type batteries and expand the battery business into “batteries for everything.” By 1997, the family owned stores were all incorporated and the Rexx name was added to the retail stores’ titles. 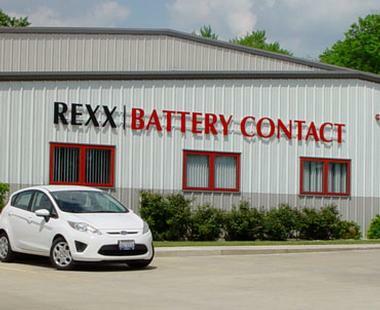 3rd generation entered the Rexx Battery business in 2008. Shane Kelly, eldest son of Tracee and Mark Kelly, began working at the Rexx Battery warehouse and was then followed by his younger brother Devin in 2009 on the Battery Contact side of the business, which specializes in small batteries and the building of custom battery packs. After 28 years of operating the Rexx Battery warehouse from the rental property on South Grand Ave in Springfield, sisters Tracee and Laurie purchased property at 2945 Clearlake Avenue in Springfield and built a 15,000 square foot warehouse for the distribution center, which was completed in July 2011. The new facility has been a welcome addition to the Rexx Battery Co. family as it allows for easier access for both retail and wholesale customers. Rex Curtsinger continues his role as an owner/operator as we celebrate our 56th year of serving the battery needs of Central Illinois and the Midwest Region. We hope you will come and visit us at any of our 13 locations. And if you are not near one of our stores, we are happy to ship your battery to you.